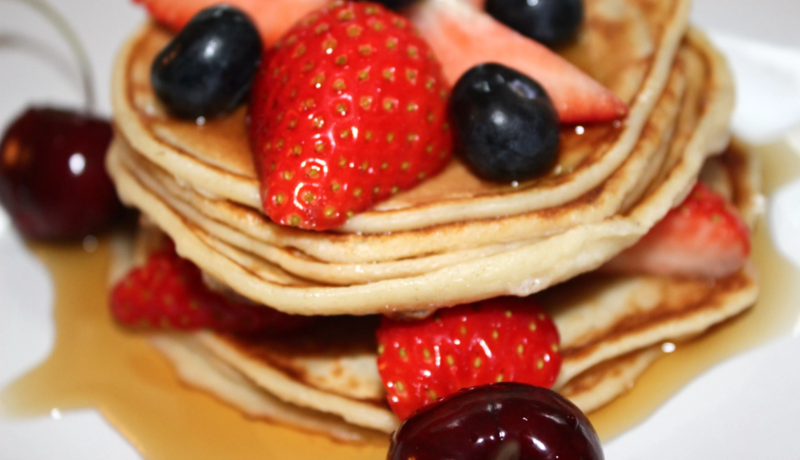 These pancakes are so soft & fluffy, while being healthy & really simple to make. Mix wet ingredients in another bowl, (coconut milk, maple syrup & add smashed bananas to the mixture & combine. Combine both dry & wet ingredients in a blender. Heat the coconut oil over a medium heat in a non-stick pan. Once the oil has melted, use a ¼ cup of the mixture & pour into the pan. Heat until bubbles form about three quarters of the way cooked through & then flip to cook for another minute or two. Serve with sliced fruit & maple syrup. Buckwheat is neither a cereal grain & is not related to wheat. This makes it a great gluten free alternative & is a rich source of soluble & insoluble dietary fibre. Buckwheat also contains antioxidant compounds which have an anti-inflammatory effect on the body. It is a good source of B-complex vitamins & contains a good concentration of copper & magnesium. Coconut milk is a tasty dairy free alternative with all the natural benefits from the coconut. Maple syrup is a natural plant based source of delicious sweetness. It contains anti-oxidant properties that protect the body from free radicals. It contains iron, calcium, magnesium & zinc. It has vitamins such as thiamine, riboflavin, niacin & B6. Bananas are a great egg substitute in vegan & dairy free recipes. They are rich in mineral potassium, vitamin B6, manganese, vitamin C & A, dietary fibre, folate & iron. These pancakes are so delicious, you can enjoy them any day , not just pancake day.they would make the best breakfast or sweet dessert.